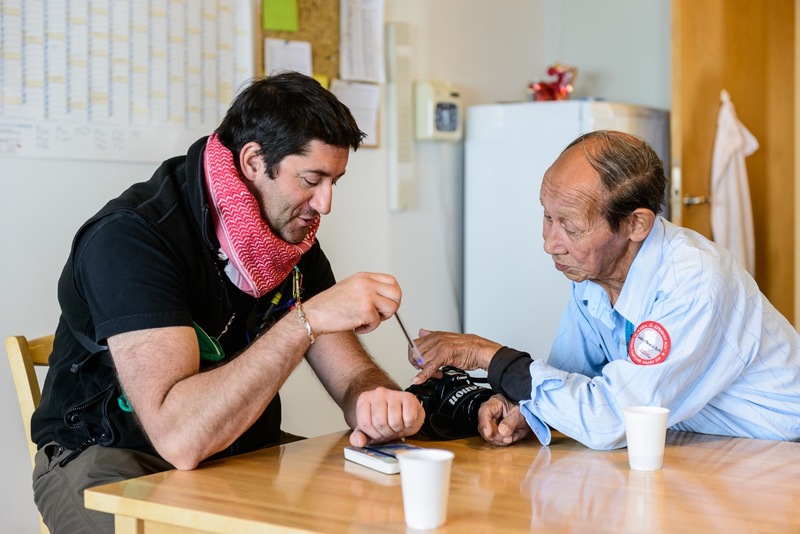 Kelvin Murray, Director of Expedition Operations & Undersea Projects at EYOS, meeting with a local Inuit in Greenland. Last week, at the 15th anniversary conference of the Association of Arctic Expedition Cruise Operators (AECO), Kelvin Murray, our Director of Expedition Operations & Undersea Projects, was voted onto the organization’s Executive Committee. This election recognises his in-depth knowledge of Arctic tourism, national and territorial policies, dedication to wildlife preservation, and his network of partnerships fostered through delivering numerous EYOS voyages. AECO is an international organization for expedition cruise operators and associates in the Arctic, dedicated to managing environmentally friendly, safe and considerate cruise tourism. With 73 international members – including 43 vessel operators, owners and management, and 56 expedition cruise vessels that are organized by the association—AECO represent the great majority of operations in the Arctic. Kelvin also moderated the conference for the 120 attendees and took part on a panel on community engagement. Working with and to the benefit of local communities has long been a core tenet of ours, and AECO is working to enhance dialogue and exchange between cruise operators and Arctic communities. Following the conference, a Community Engagement Initiative is now being pursued including guidelines that inform tourists on how to be considerate visitors. The conference was followed by AECO’s Annual General Meeting, which saw further strides taken by the membership in strengthening its position in Arctic operations. Several important decisions were reached related to financing, increasing the geographical scope of the organisation to include Iceland, and further commitments to environmental and ethical issues. EYOS is a full member of AECO and committed to supporting AECO’s mission. EYOS and Kelvin look forward to working with AECO for many years to come and ensuring that our operations in the Arctic remain at the highest environmental and safety standards possible.